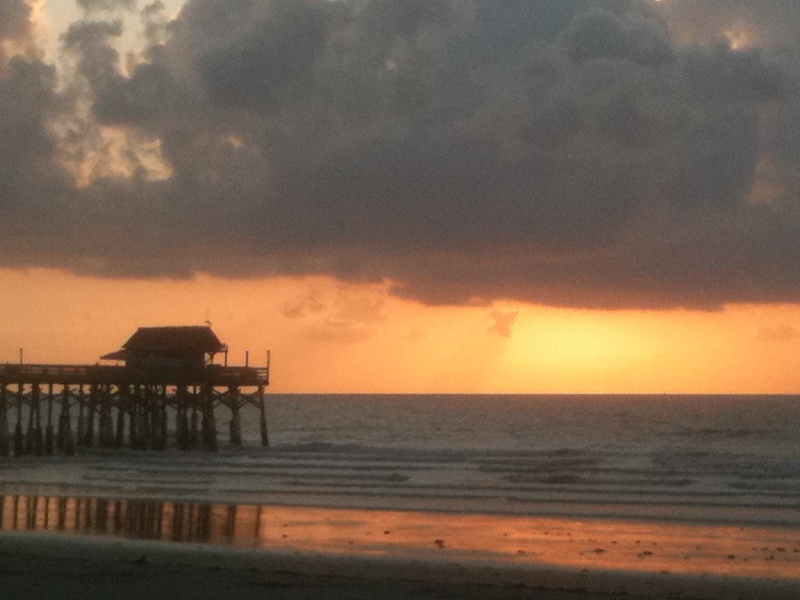 Visited Cocoa Beach in June 2011 to help celebrate my mom’s 92nd birthday. She is doing great and we had beautiful weather. 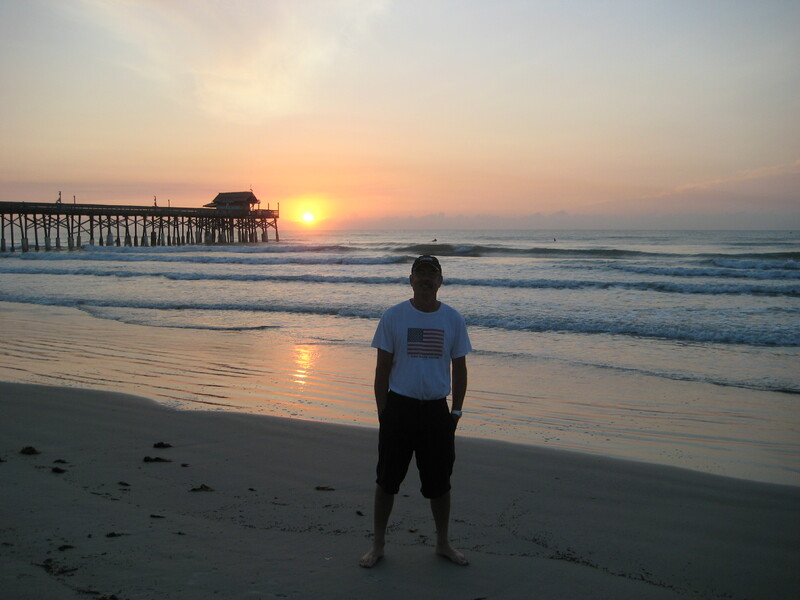 The shot above is of me one morning at the Cocoa Beach/Canaveral Pier. While there I was able to SUP almost every day. The water was warm (hence, no wet suit) and I pretty much had the ocean to myself. Below is the link to a collection of short videos of my time in the Atlantic. Enjoy. 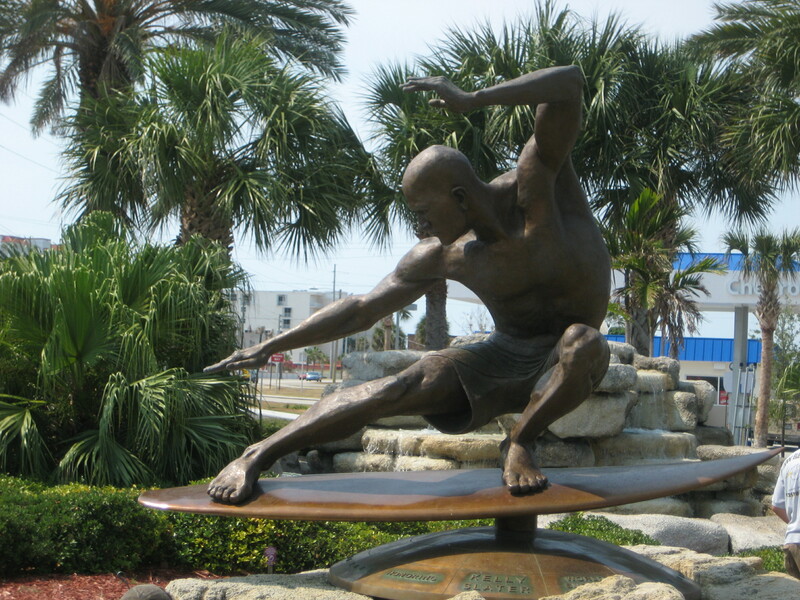 Made a stop at Kelly Slater’s statue on A1A at 4th Street South. 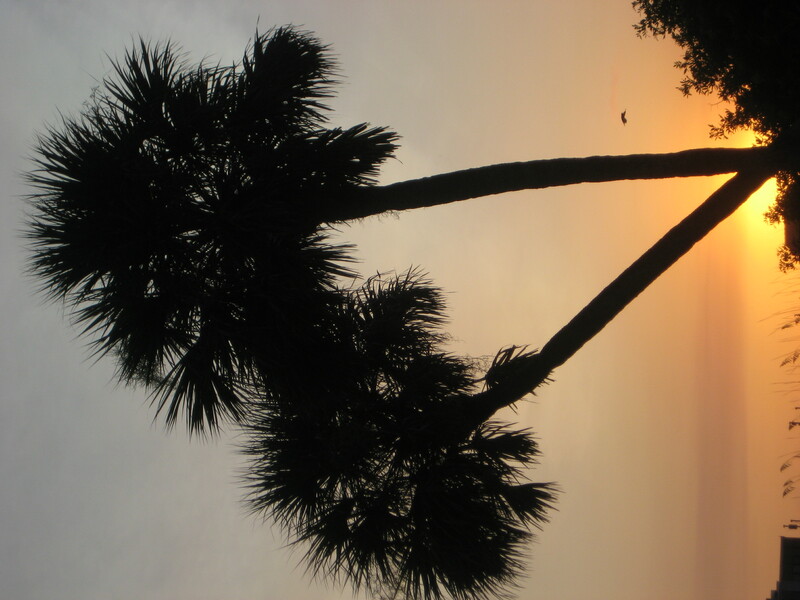 The pictures below are other sunrise shots. 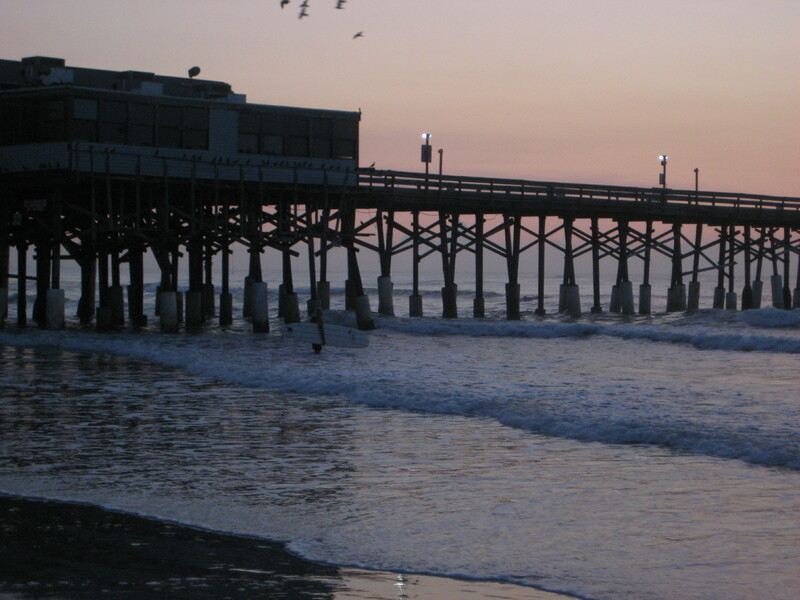 Our condo was just south of the pier. 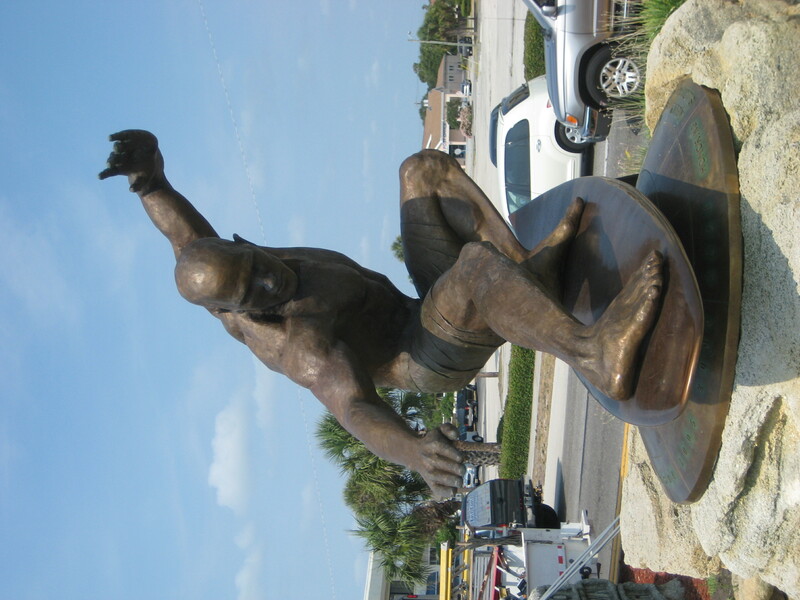 This entry was posted in Videos and tagged Cocoa Beach, Kelly Slater. Bookmark the permalink.